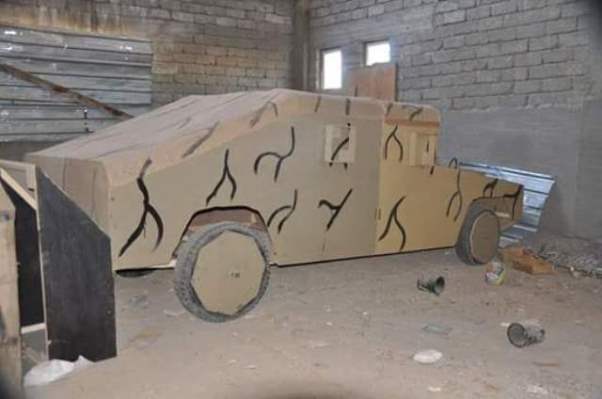 Warehouses found in the newly liberated al-Arabi neighbourhood in eastern Mosul show that ISIS terrorists have made fake Hummer vehicles made of wood to misinform Iraqi forces about their equipment and facilities. 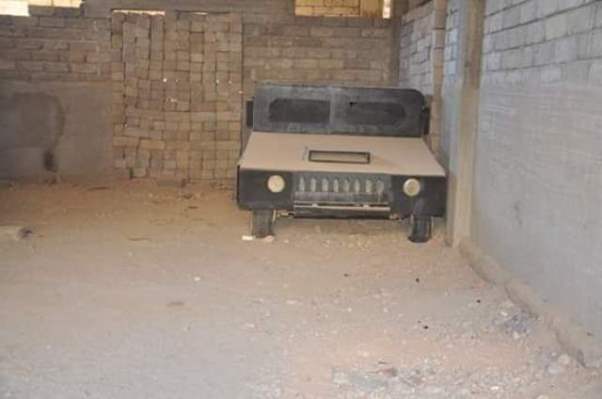 According to a Farsi report by Shafaqna, photos shared by social media users show that Iraqi forces have discovered a warehouse full of phoney wooden hummer lorries and suburban utility vehicle (SUVs) located in a building in the al-Arabi neighbourhood of the northern Iraqi city of Mosul, Nineveh Province. 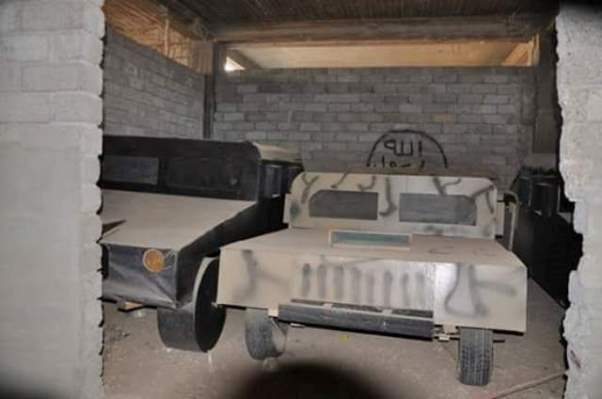 The sham vehicles were made by the ISIS terrorists in a futile attempt to mislead Iraqi forces about their war equipment and slow their march towards their stronghold. 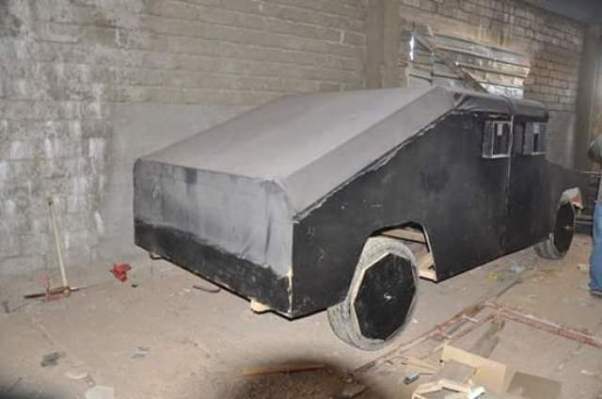 This is while, Iraqi troops had earlier found and seized a number of wooden tanks and cars in the northern and western Iraqi provinces of Nineveh and Al Anbar, respectively, belonging to the ISIS.